The reason why I put these groups together because they are costume jewelry in the eyes of Hong Kong people. From this page, you will learn where to find them in Hong Kong, the usual practice of the sellers and your buying strategies. Imitation jewelry, that's how Hong Kong people call the typical costume jewelry and treat them. It is disposable in the eyes of the people in this city. break easily, too. Of course, the price is very low. You can find the imitation jewelry from hawkers, ladies' markets, sometimes department stores, small and big boutiques. You must buy everything in bulk. I will share with you the strategies below how to get the best bang for your buck. While you are in the area, check out the Stamp Street where you can get a Chinese seal stone for yourself. The quality of it is beyond compared. Price is very reasonable, too. If time is allowed, check out the Western Market which is a Edwardian style 4-storey building since 1840s. If you are getting too tired to walk any further, a short, cheap tram tour is a great way to go from one place to another place in Hong Kong in a very relaxed atmosphere. Beads sold in Yu Chau Street. Stores in this area sells imitation jewelry, parts, accessories and beads. If you love to make your own jewelry like my mom and one of my best friends do, you come to the right place. I went shopping with my mom once. The designs of the beads are rare find. Even if you can order some of them online, you may not find such a great price. 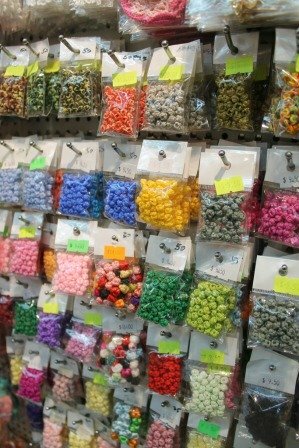 Just like in shopping in those imitation jewelry stores, you must buy the beads in bulk. a) Cheung Sha Wan Road is the fashion street. You really need to be very patient to check out most of the stores before buying. There are some factory outlet stores (a.k.a. import and export stores). Their clothes turnover is super quick. If you are lucky enough, you may find your style in just one of them. Price can be very extreme. Throughout my life, my mom shopped for our clothes in this kind of stores. It saved tons of money. Best of all, you are always in the front of the trend. Am I exaggerating? Find out yourself. b) Apliu Street is mostly for men. Anybody loves latest technology and electronics loves this street. forth, you will find tons of them here. d) If you love sewing or other art and craft projects, also check out the Button Street, Ki Lung Street, and the Ribbon Street, Nam Cheong Street. If you travel with your kids, I only recommend you to bring them along if they are at least 8-10 years old. It is for the safety of your loved ones. You occasionally will see big department stores, such as Sogo and Wing On, sell imitation jewelry. The design and quality are definitely better. Price, of course, is higher. Unfortunately, the shelf life is about the same. The colors fade easily. means minimum order quantity) that you need to meet. Most stores ask for the same amount. You may find just a few asking for a slightly higher or lower minimum purchase amount. However, here is the trick.....These are manufactured jewelry. So, you will easily find the same designs in several stores. Some stores charge a piece of jewelry higher in price. In other words, you will have fewer pieces of jewelry to meet the minimum purchase amount. For instance, the minimum purchase amount is HKD1,000. 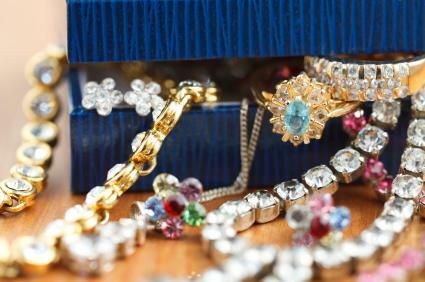 Store A charges average $20 per piece of jewelry while store B charges average $15 a piece. You definitely will have more jewelry out of store B. Therefore, always check several stores before deciding where you are going to buy. Mostly, the first 2-4 stores on either end of the street charge more than the others. If the minimum purchase amount is too high for you, shop with 1-2 of your friends (or maybe more people) and split that among yourselves. Yep, check out at the cashier at the same time to meet the MOQ. Why silver jewelry is costume jewelry in the eyes of Hong Kong people? It is because it changes color. Although it can reverse to its original shine with some help of chemical, Hong Kong people are just too busy to bother. I know it sounds crazy. But that's the truth. You can easily find the silver jewelry in the strip malls in Hong Kong, especially those having boutiques and local designers. These boutiques usually sell the silver jewelry as accessories. Not many of them dedicated the whole store selling just silver jewelry. These strip malls look like Island Beverly Center in Causeway Bay and Rise Shopping Arcade in Tsim Sha Tsui. To the local, silver and sterling silver are literally the same metal. Although sterling silver jewelry is easier to find in the gold jewelry stores, it is still not as popular as the real ones. One of the reasons is because it is much more expensive than imitation jewelry. Hong Kong people like to put on new clothes, jewelry, shoes and phones all the time. Although Sterling silver jewelry lasts longer, it doesn't fit into the Hong Kong lifestyle. To pick between sterling silver jewelry and real jewelry, Asian always loves to go with the real one. It is because of the values of the metal. Justco and so forth. Brand names are the most important things that you need to pay attention to. They are not very specific when it comes to sterling silver. The staff may not know exactly what sterling silver means. So, make sure to ask first. 1) What kind of material is this? 2) Does the jewelry change color? 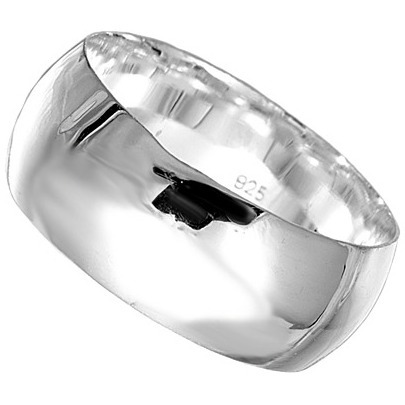 Another tip to find out the quality of the sterling silver is to look at the stamp at the back of the silver jewelry. If it shows "925", it is sterling silver. Because 25% is alloy to keep the silver stronger. As mentioned earlier, the company even big department stores sometimes sell imitation jewelry which fades in color and not made by sterling silver. So, always ask the questions and don't assume. 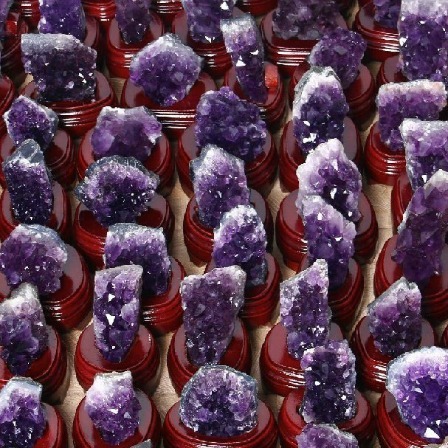 Don't be surprised to see Hong Kong people use this purple crystal home decor for "Fung Shui". Natural stone jewelry refers to semi natural stones, such as Amazonite, peach jade, Labradorite, Pyrite, Moonstone, Grey Agate and so forth. In Hong Kong, there was a time that everybody was crazy for these natural stones. Somehow they were incorporated in "Fung Shui". People put on certain natural stone jewelry for the blessing or what the fortune teller asked them to do so. Some even use natural stone as home decor for the same reason mentioned earlier. Well, Hong Kong people change their trends like changing clothes. The trend passed. Eventually, many stores closed. But there are still some out there. Look at how busy this Swarovski branch is. It was right across from the Times Square Hong Kong. You know this brand, especially Hong Kong is the hub of many world renowned brands of merchandizes. 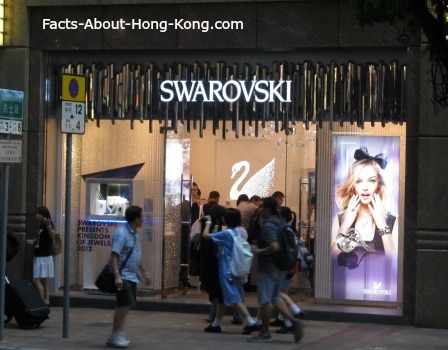 All Swarovski stores in Hong Kong sell home décor and jewelry. If you are the person interested in DIY jewelry by using the beads of this brand, you may be disappointed not to see them here. Where to find Swarovski stores in Hong Kong? They always locate in or nearby the luxurious malls. same area for time saving, especially when it comes to traveling. "One stone, two birds." Items bought in my Hong Kong Costume Shopping. The pearl set was used in my wedding. The silver necklace changed color about 5 years later. It is beyond my expectation. If you prefer to buy some higher-end Hong Kong costume jewelry, check out some of the well-known department stores, such as Sogo, Wing On, Sincere and so forth. They have a section to sell very good quality costume jewelry. Look at the picture above. 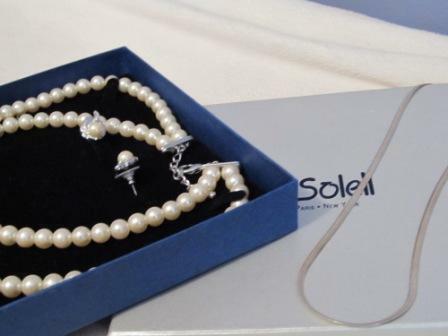 I bought this "pearl" jewelry set for my wedding in 2002. I still use it on special occasion. Back then, it cost me about USD80 (HKD600). Look at the quality of it. But...do pay attention what you pick. There are still costume jewelry sold in the department stores that changes color. ALWAYS ASK. Another place I got a great find was the silver necklace next to the "pearl" set (picture above). I bought it in Rise Shopping Arcade, Tsim Sha Tsui in 1998. I still use it when I go to work or for casual wear. It cost about USD 26 (HKD200). I was pretty lucky those 2 times. Unfortunately, there was a time that I bought from a Hong Kong Costume Jewelry store that I paid a ridiculously high price for a set of precious stone jewelry for my mom's birthday. I was told that the color would never change. But time will tell. About 2 years later, that set cannot be used again. Another story was shared with my sister's friend. She bought a necklace from a street hawker for about HKD100 (around USD12.50). Right away, she knew that it was not made of sterling silver. But she still thought that it was a steal. Why given up the opportunity? So, she bought it. Not long after, she was shopping in a big chain store and happened to see the same necklace. Everything is exactly the same, except the price. It cost about HKD300 (around USD37.50). So, ALWAYS ask. Well...(in summary) not only ALWAYS ASK when you do your Hong Kong costume jewelry shopping, but also go with your GUT FEELING before you pay.